As the SaaS tsunami continues to roll out at a dizzying pace, staying current on developments is a considerable challenge for people in all sectors of the SaaS/Cloud community. One of the best sources I’ve found for vision, information and ideas throughout my career has been the conversations that happen at well-run industry conferences. Yes, travel budgets are tight and the time is a concern — but you hear things at those events long before they appear on the web or in other news outlets. For the past several years, there have been a handful of such gatherings on my personal “must attend” list. 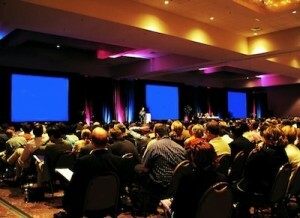 There are several aspects that make for good value in a professional conference. One is the design of presentations and panel discussions, especially if they are carefully crafted for the audience and not merely done as marketing or advertising exercises for some vendor. Another is the array of pre and post conference workshops or seminars that may be offered. The content of the formal sessions can do a great deal to set the tone of the event and to suggest strategic and tactical concepts, ideas, approaches and possibilities. The most important source of value, to me, however, is in the attendees of the conference. The content of the presentations is only a beginning. The real impact comes from interacting one on one or in small groups gathered informally around the table or bar during the day or after hours, and conference organizers should keep this firmly in mind. Receptions need to be held in rooms where you can hear what others are saying without having to shout. 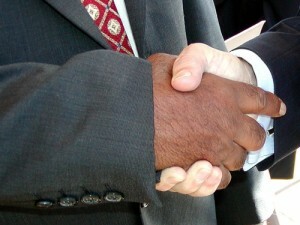 Networking breaks should be frequent. To keep up with the ever-increasing variety of valuable webinar, event and conference options, we’ve created a new page for The HotLine Magazine list. For event descriptions, discount codes and registration links, please click here.